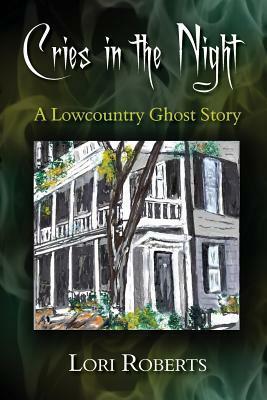 Cries in the Night: A Lowcountry Ghost Story by Lori Roberts – Books, Books and More Books! Dr. Austin Tabor and wife Carly have moved from Denver to Charleston. Austin is working long hours as the newest doctor at the hospital and Carly is looking for work in her field of investigative journalism. Thinking they have really hit the jackpot by being able to afford one of the historic homes on King Street, it is only later they begin to wonder if the reason they got such a good deal is because the house may be haunted. Strange things start happening during renovations and only get worse after the couple moves in. Soon no one is sleeping due to the nightly noises and crying that seems to come from the walls and the cellar. After several terrifying events, Carly teams up with Delaney, who leads one of the many ghost tours in the city and is also a Sensitive, someone who can communicate and see the dead. Together they are determined to find out what happened to the people who built and lived in the house and try and set them free. This is a great ghost story! The pace was steady, the writing great, the descriptions of the city and it’s landmarks was spot on. I’m really hoping there will be another one. I feel certain we will be hearing a lot more about Ms. Roberts! I received this book from Netgalley in return for an honest review. I honestly loved it!